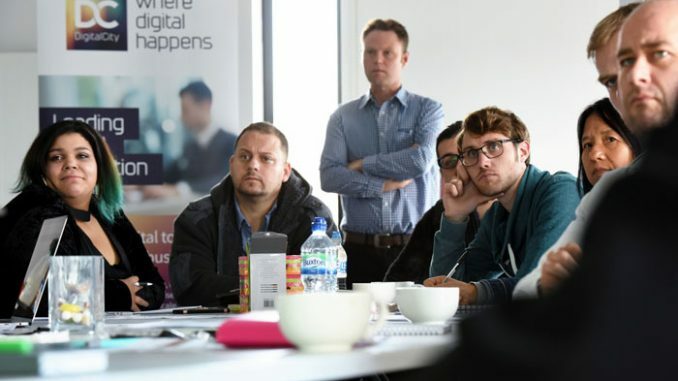 DigitalCity is recruiting Tees Valley-based digital and technology innovators to its first Fellowship Accelerator Programme of 2019. DigitalCity Fellows benefit from a programme of workshops and bespoke mentoring, as well as a grant of up to £5,000. The programme is designed for early-stage businesses who have been trading for less than 12 months. Led by Teesside University in partnership with the Tees Valley Combined Authority and part-financed by the European Regional Development Fund (ERDF), DigitalCity has been responsible for helping to create some of the region’s most successful companies. As the wider sectors continue to embrace digital technology, the diversity of the businesses DigitalCity supports is expanding. The most recent programme included companies providing digital solutions to problems in the areas of health and end of life care, live music and space technology. Scott Watson, DigitalCity cluster innovation manager said: “Through the Fellowship Accelerator we support the exciting digital start-ups coming out of the Tees Valley. “We’re particularly interested in working with businesses that are involved in transforming traditional sectors with their digital and tech skills. DigitalCity was acknowledged as one of the key drivers of digital growth in the Tees Valley when Middlesbrough was listed in the Tech Nation 2018 report as being in the vanguard of the UK’s burgeoning digital and hi-tech economy. Its work on the digital transformation of Tees Valley businesses was also recognised with the ‘Knowledge Exchange/Transfer Initiative of The Year’ at the 2018 Times Higher Education Leadership & Management Awards (THELMA). The Fellowship Accelerator Programme will be delivered in Boho 5 on Bridge Street East, Middlesbrough, from February-April 2019. Deadline for applications to the Fellowship Accelerator Programme is 4pm on Friday February 1.